Confused by all the different types of WordPress hosting you see on the Internet? Do not worry. We are here for you. Because WordPress is so popular, it has spawned a massive industry of hosts offering all types of plans, from an affordable $3 per month shared plans to business-focused $700+ per month dedicated plans. While that is generally a good thing because it means you have plenty of choices, it can also be confusing to beginners who are just getting started with WordPress hosting. To help you pick the type of WordPress hosting that’s right for you, I’m going to spend this post looking at five types of WordPress hosting that you can use for your WordPress site. Of course, there are always smaller individual features that differ between specific hosting providers, as well. 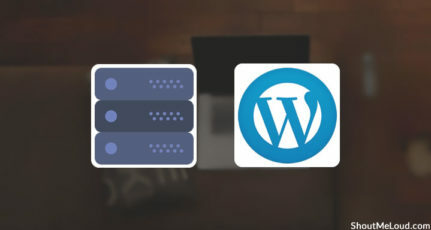 As I go through the following five options for WordPress hosting, you should see how these three concepts connect. This type of hosting is best for…beginner bloggers or people who have low-traffic websites and don’t want to spend a fortune on hosting. Let’s start with shared hosting. This is the cheapest type of WordPress hosting and what I usually recommend to bloggers who are just getting started with their first WordPress site. When you use shared hosting, you’re essentially sharing a web server with a bunch of the host’s other customers (hence it is called “shared” hosting). Why would you want to share space? Well, the only reason is it turns out to be economical. By pooling resources, you pay very little, sometimes as low as a few dollars a month. For example, Bluehost, something I usually recommend for beginners, starts at just $2.95 per month. In addition, because shared WordPress hosting is often targeted towards beginners, it’s also fairly easy to use. That is, most shared hosts make it very easy for you to install WordPress and complete other basic actions, though they usually don’t offer many advanced features. So if shared WordPress hosting is cheap and easy to use, what’s the downside? Because multiple sites/people share the same server, your host limits the resources you can use, to create an environment that’s fair to everyone on the server. So while shared hosting is perfectly fine for low-traffic sites, once your site starts to increase in traffic, you will naturally begin to outgrow the limits of your shared environment. When that happens, you might want to upgrade to one of the other options on this list. 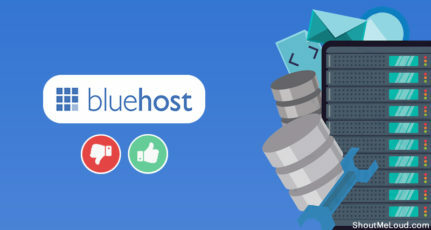 Bluehost – read my review here. SiteGround – read my review here. 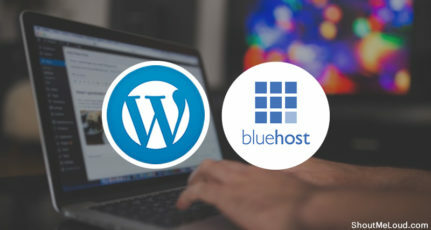 This type of hosting is best for…WordPress users who are willing to spend a little more for features like automatic updates, backups, security, and expert WordPress support. Managed WordPress hosting is a sort of catch-all phrase for hosting built on a variety of underlying technologies. But because managed WordPress hosting is so popular in the WordPress community, I thought it still deserved its own category on this list. While most managed WordPress hosts have good performances, the main draw of managed WordPress hosting is that it is already optimized for WordPress, which means you can just focus on creating content and marketing your site. Check the list of best-managed WordPress hosting here. And, they will also often give you other helpful features like staging sites, along with expert WordPress support. Kinsta – read my review here. WP Engine – I compare WP Engine with Kinsta in this post. This type of hosting is best for…people who need more power than shared hosting can offer but still want to keep things fairly economical. A virtual private server, also known by the abbreviation VPS, sits somewhere between shared hosting and a dedicated server. You get a certain allotment of space all to yourself. That’s the “virtual private” in the name. No need to share resources. Your site gets its own allotment of resources no matter what other sites are doing on your server. More control over your server. Because your “virtual” space is private, rather than shared, you have more control over things like configuration and software. Unmanaged – requires some networking knowledge because you’re responsible for configuring and managing your server. Managed – your host “manages” the server for you, which eliminates the need for you to have technical knowledge. Unless you know your way around running a web server, you should definitely go with Managed VPS hosting. This type of hosting is best for…all types of users because it’s easy to scale the resources (and prices). Some cloud hosting providers require technical knowledge, though. Cloud hosting is a new type of hosting where your site is hosted on cloud architecture, rather than a specific physical server. One of the big benefits is scalability. Because of the underlying technology, you can quickly add or remove resources. For example, if your site receives a sudden traffic spike, you could quickly scale its resources during that spike and then go back to normal after the traffic spike finished. While some of the previously mentioned hosts, like Kinsta, are actually built on cloud hosting technology, you can also find unmanaged cloud hosting providers. But if you’re technically sound, the upside is that you can get cheap, scalable and a high-performing WordPress hosting. DigitalOcean – affordable but requires technical knowledge to use. Cloudways – helps make cloud WordPress hosting much more beginner-friendly and lets you choose from multiple cloud hosting providers. This type of hosting is best for…users with high-traffic sites in need of great performance with a big budget. With dedicated WordPress hosting, you get an entire server to yourself. You don’t need to share resources (like shared hosting) or limit yourself to a virtual partition (like a VPS). You get 100% of the server to yourself. Performance – a powerful dedicated server is going to be able to deliver fast page load times even under high traffic. Control – because you have the entire server, you’re free to customize your server as needed. Obviously, the major drawback of a dedicated server is its cost. Even cheap dedicated servers cost somewhere around $100 a month while a more powerful dedicated server can easily put you back by $300+ per month (or more). By now, I hope you have a good understanding of the different types of WordPress hosting that are available to you. 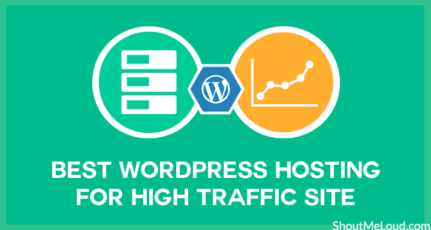 If you’re just getting started with WordPress, I recommend sticking with cheap shared hosting until your site starts to get a good amount of traffic. Once that happens, you can consider upgrading to one of the more expensive options. And if you want the simplest, most hands-off approach to hosting your WordPress site, paying for managed WordPress hosting is a good idea because your host will handle many of the technical details for you. What type of WordPress hosting do you use? Let us know in the comments! This one is sure a knowledgeable article for everyone. There is always misconception and misunderstanding regarding types of hostings services. As a blogger, Cloud and dedicated is nowhere in my interest. But if ever I want to make a switch from shared hosting I would choose a Managed or VPS hosting. I recently did a comparison on best-managed hosting including kinsta you are currently hosted with. What do you think of inmotion hosting? They have such bad yelp and google reviews﻿. I have not faced any issues with Inmotion Hosting. I have been customer with them from past year or so. Support has always been excellent. Whenever i have faced issue with my site they have helped me. Through Live chat and it has been done instant. How long I wanted to know about the difference between all WordPress hosting types. You explained all thing in this article and easily compared. Thanks for sharing, this is valuable information for me. Nice guide!! Amazon Web Services and Google cloud are also great options if you are a linux techie. But you end up managing the availability, backup, and security. I heard a lot about Wpengine. What do you think about it? Is it worth to invest money in that? The quality of the hosting you use for your blog site is super important. I started with a shared hosting plan (hostgator) – when I first started blogging online. As my traffic grew I started to have maintance and loading problems. This is when I had realized that my hosting plan was not enough. I learned the hard way the importance of using a Managed Hosting Plan from the very beginning. If your goal is to build a profitable blog online, you must start the right way. You can always switch hosting services but I’d rather not deal with that. That is why I would recommend to start with the right type of hosting that will be enough for the thousands of visitors you plan on getting. The one I use for my blogs is called WPXHosting. They are good and have great support. Good breakdown here. Folks need to know how to take the next step depending on their individual blogging needs. One thing is for sure; buying your domain and owning your hosting with a WP dot org blog is pretty much a must to move into the upper levels of blogging. Sure a few successes will flow through without these basics down but nothing like the self-hosted deluge of bloggers who take the more prospering route. My hosting solution works A-OK for now. Down the road I may need to change things up. We will see. I am super happy with my hosting solution though so no need to bail on anyway. Doing the self-hosting route is a no brainer for many reasons. Owning your cyber real estate prevents you from being kicked off your blog as a cyber squatter. You set the rules too, which is a good thing, save a few host TOS which are incredibly liberal. As for monetizing and branding potential, you just cannot beat the flexibility of a self-hosted blog. Checks across the board on every level. Do not cheap out on hosting guys. The $15 or $20 or more you pay monthly will distance you from the $3 a month crowd with blogs on overloaded, crowded servers. Hosting is dirt cheap for a good reason. I’ve recently bought a domain and wordpress hosting but literally I was awful at the start that what is this happening,i don’t even know anything how would I but after some times I got slowly n slowly though youtube and visited shoutmeloud and subscribed. here I got every day some details about this. From my experience ofcourse Bluehost hosting best for faster server performance, as well as SEO hosting. Even I use Godaddy and hostgator, but bluehost roughly SEO friendly. I’m engaged with namecheap more than 5 years. 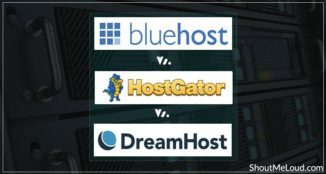 Finally decide and moving on Bluehost from November 2017 one by one. Thanks for your advantage of hosting information. Good comparison of all these WordPress hostings. But I am using Bluehost at this time and I am happy with it. Because I don’t have much traffic, so I don’t feel any problem with it until now. Hello sir, with your advise I am using cloud managed hosting. It is worked very good for me for last one year. But before this I was using hostgator shared hosting which was very bad experience because many times my site get offline because of two many possess. Hi sir, I am using Hostgator Baby plan and it’s also the best option as I can host as many domains as I want with one time monthly fee. Thank you for sharing informative post with us. Sir, which hosting should i choose for blogging? First I Will Congrats You Harsh Sir and all his team for completing 9 successful years of blogging. 1.Logo and Design – I think as a Great-Known and award-winning blog. logo and Design Of Shout Me Loud Is Now No more attractive Or eye-catching. The Previous Design Of Shout Me Loud was More attractive than This. I think you should Replace That Logo. But As You Are a Professional Blogger You Know More About All This. But Some Customisation That Have been Done Is Pretty Nice. As the Best Blog in the India, everything Must be the Best. Because This is Not Only a Blog but it’s an Inspiration behind the Many Succesfull bloggers. So IT Should Be Perfect In All Ways. 2.How Shout Me Loud helped Me? * Your Content Are Always Usefull For Me..
* Some Content For Your Post I Already Know..
* BUT Most Of The Time I Learn Some New Tips To Improve Blogging ..
* Because I Want Deeper Knowledge In Blogging Career .I Am Always Visiting Your Blog Everyday ..
NOW I AM Preparing A Fully Working Website To Sell Books On My Website Store.. I Am A Daily Reader On Shout Me Loud and I Must say Harsh Sir inspired me A Lot. 1. **Elegant Theme**. –(AdSense Theme) Because I Want To Earn More Revenue From Blog. Thanks for Making Blogging Life Easy And Simple..
Great article as always from Harsh. I am adding Inmotion Hosting as far as shared hosting is concern as i am using it. They have helped in issues i have faced when creating the site as i do not have technical knowledge as far as website is concern. From your articles I have been reading and using those tips and tricks on my websites. Thanks Harsh for these great articles. I received your email about this post and liked the approach–very cool. As for hosting, did you consider Google Cloud for hosting? I am currently on hostgator and haven’t had any issues. I mainly get traffic from India but I want to expand that to at least other English speaking countries. Thoughts on the above two? If you are looking for expansion to other countries, I would suggest you to move to .com instead of .in. I personally use Kinsta which uses google cloud platform and is amazing. Have faced no issues till date. If you have the financial bandwidth, I would definitely suggest you to move there.